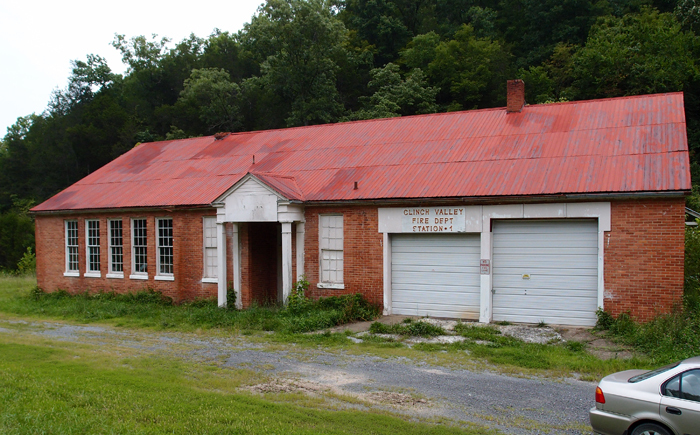 The topo map of this area, on Highway 70 in Hawkins County, near Eidson, identifies this as Rock Hill School. I don’t know when it was built, but it looks sort of 30s-ish and I believe it closed in the mid-80s. Obviously, it became a fire station after that.